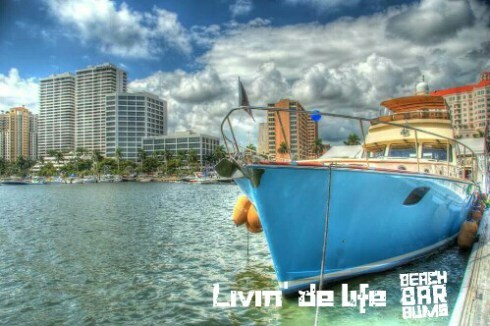 This was my first attempt at HDR photography and was a shot I took at the Palm Beach International Boat Show last week. The main perspective I was trying to capture was the boat with the Palm Beach skyline in the background. I didn’t realize until I got home that the buildings in the background were the Trump Plaza condos which was a pleasant realization. If anyone asks, though, that’s exactly the way I planned it. Post processing was done in Photomatix with the “Painterly 2” filter. No other adjustments were made. I wanted to get the colors to pop without getting the “cartoonish” affect I see in so many HDR photos. You’ll have to excuse the watermark. It’s not because I think someone will steal it (although I’d be flattered if they did!). It just helps me get my name out in case someone decides to share the photo with their friends. So I guess I’m looking at advice and feedback. Please let me know what you think and feel free to be harsh – I promise I won’t delete your comment. Maybe.